This anthology is scheduled to come out in the Fall. You can see the contents here. ----"The Case Against Miracles is the most important anthology to ever be written about miracles." 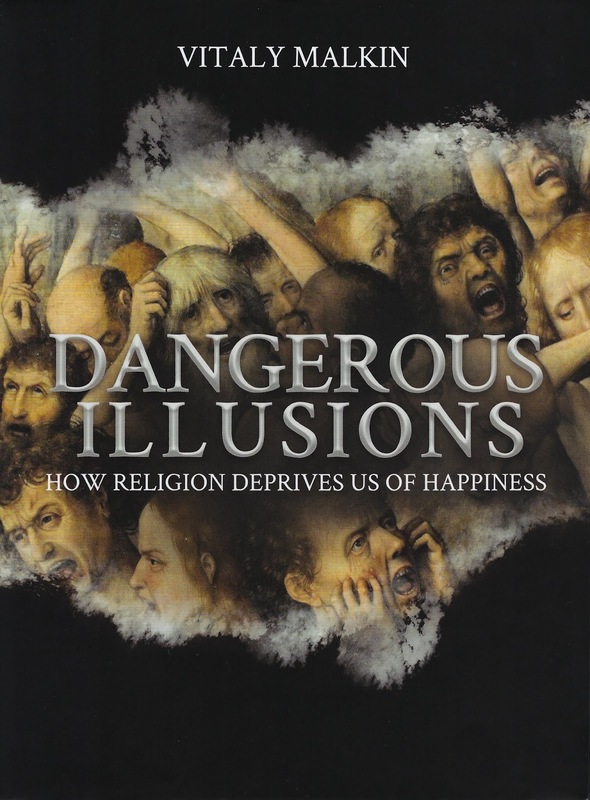 By Peter Boghossian, author of A Manual for Creating Atheists and How to Have Impossible Conversations. 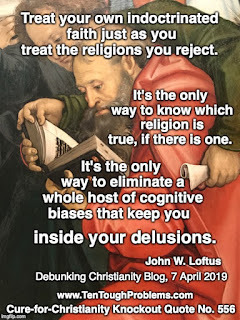 ----"Every John W. Loftus book is a must-read; he continues to assemble some of the finest and most insightful minds in contemporary counter-apologetics. 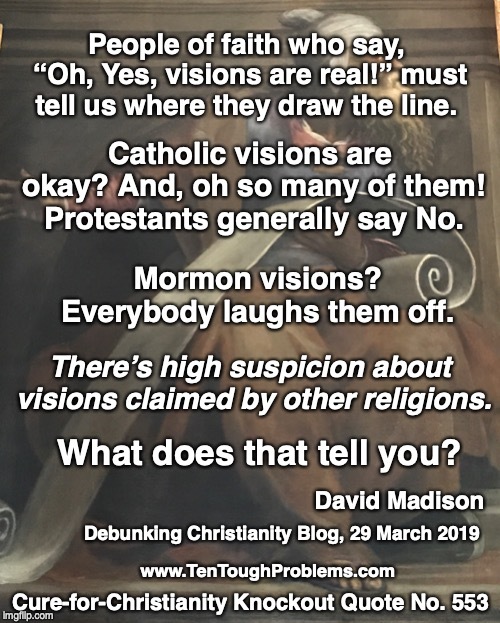 Putting biblical miracle claims (and other shaky supports propping up the faith) under the magnifying lens, it weighs the evidence and finds them wanting. 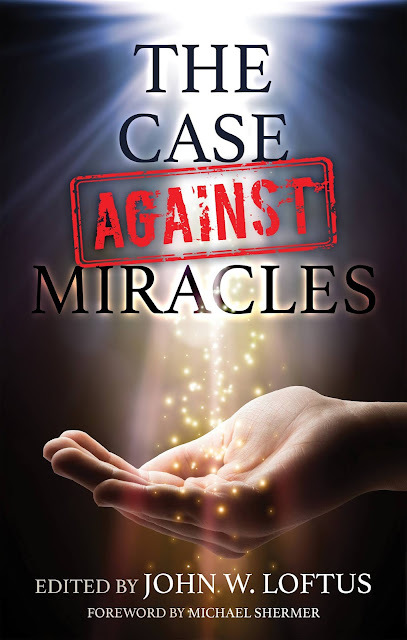 The Case Against Miracles is a superb resource and a handy field guide for any one forced to traipse through the treacherous jungles of the miraculous." By David Fitzgerald, author of Nailed, Jesus: Mything in Action and The Complete Heretic's Guide to Western Religion series. [Written by Teresa Roberts] In Christian theology, eating from the Tree of Knowledge of Good and Evil was the sin that caused the downfall of humankind. Apparently, the worst thing a human can do in the eyes of god is to acquire knowledge. Every tree bearing fruit in the garden was available to Adam and Eve except the one, the big tall tree bearing answers to their questions. That tree was strictly forbidden. The Methodist Church in rural Indiana that I attended as a kid was not too many notches above Quaker simplicity. There were modest stained glass windows, but the only other art, above the altar, was the famous Warner Sallman portrait of Jesus. There were flags on both sides of the altar, the Christian and American. No one gave much thought to the presence of the latter; how could Christianity and our patriotic certainties not be in sync? We were sure that apostle Paul had it right: “…where the Spirit of the Lord is, there is liberty,” (II Corinthians 3:17) although Paul didn’t have democracy in mind at all. 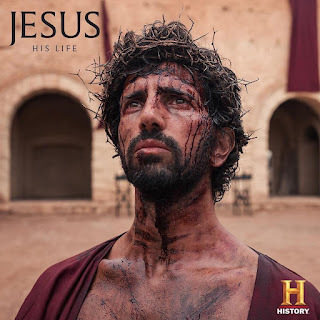 Having reviewed the television program I wanted to address some of the content from the Jesus : His Life website as well, namely the page that addresses the historicity of Jesus. 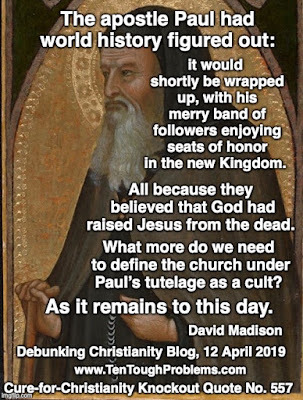 I do find it significant that they address the existence of Jesus at all, at least acknowledging the growing number of people who doubt that Jesus was a real person. 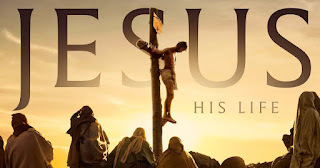 This is my last post covering the His Life series. 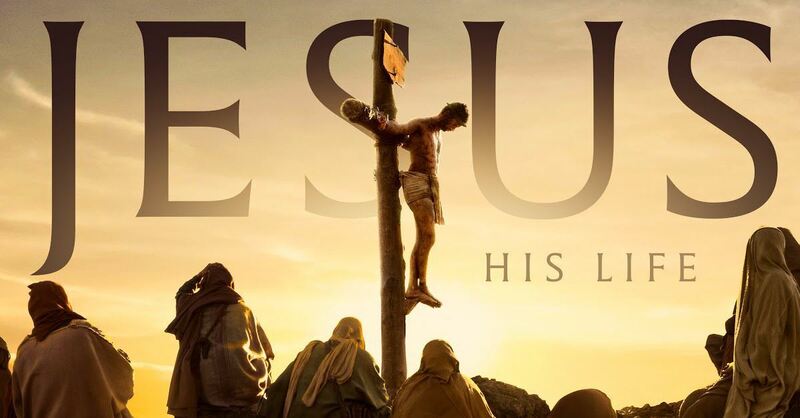 The website for the program includes several pages that address various aspects of Jesus lore. One such page addresses the question of whether Jesus existed at all. The page notes that a survey by the Church of England found that 22 percent of Brits didn't believe that Jesus was a real person. 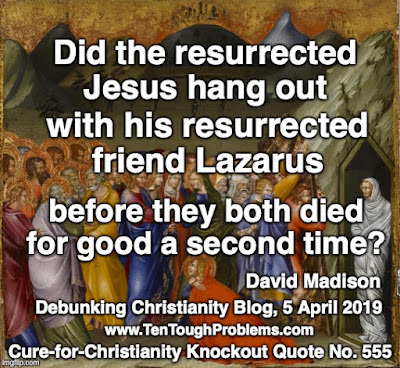 We are then told, however, that of course the overwhelming majority of New Testament scholars (the majority of whom are Christians) do believe that Jesus was a real person. 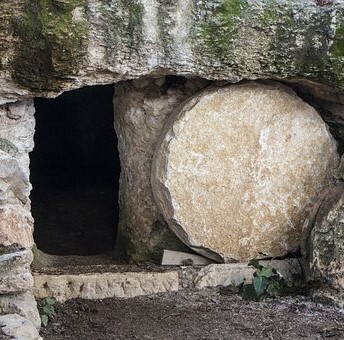 So what evidence does the site put forward to support the existence of Jesus? 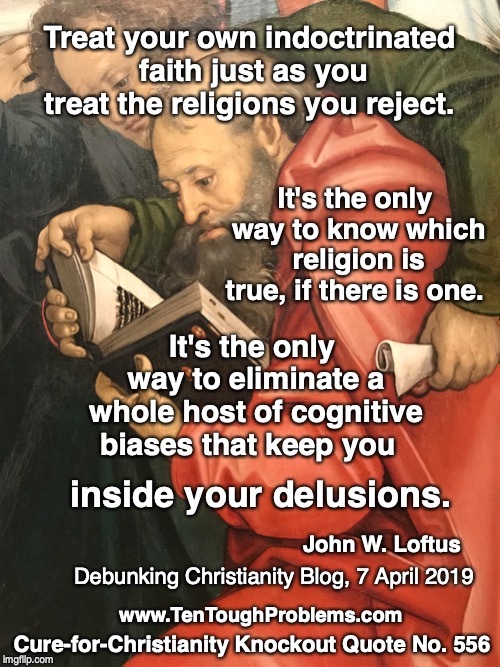 A challenge that theists have never met—as far as I know they’re not even working on it—is to show doubters and skeptics where we can find reliable, verifiable data about God. 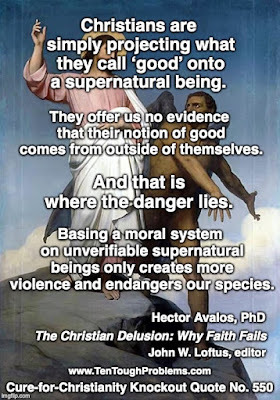 The catch is that all theists must agree, “Yes, that’s where to find it.” The endeavor flounders because theists have never been able to agree on which God data are reliable and verifiable. 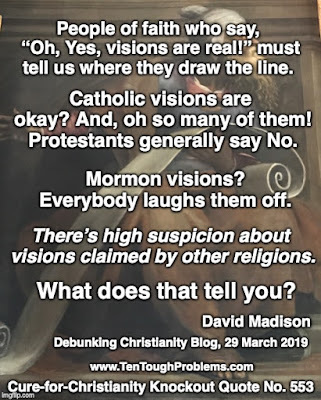 They don’t agree on whose revelations, scriptures, visions, and prayers are authentic. Just try, for example, to get a handle on which Christianity is the right one. 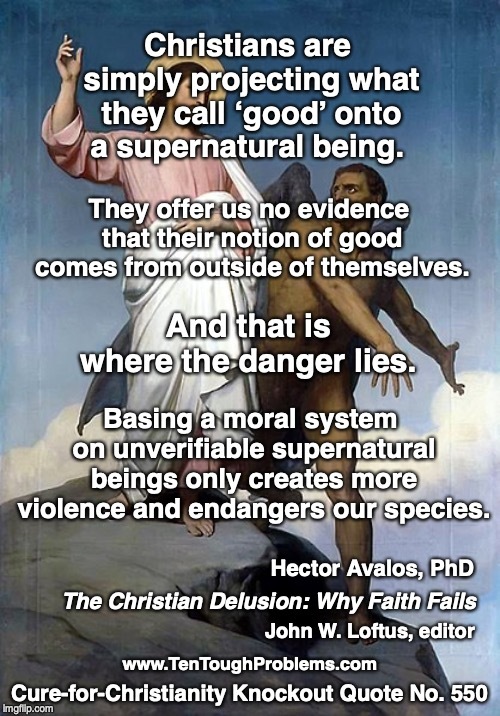 In other words, humans have bungled religion badly: It’s a mess. When I heard about the History Channel’s new TV special, Jesus : His Life, I was quite interested to see how they were going to handle the subject. As the author of the recently published book, Deciphering the Gospels Proves Jesus Never Existed, obviously I knew that my perspective on the subject would be different than whatever might be presented, but I was still quite interested to see how they were going to present the subject matter. It’s no wonder there are thousands of different Christian brands. The New Testament itself has fueled so much heated debate, diluting the One True Faith and provoking endless irreconcilable interpretations. So pity the poor laypeople. Largely isolated from theological wrangling, they have to figure out the essence of the faith from what they’ve learned in Sunday school. One theme, of course, represents Jesus as the embodiment (literally) of I John 4:8, “God is love.” That has had staying power, and John 3:16 is probably the best PR jingle ever. This was brought home to me recently when I had a conversation with a Christian on Facebook. Here’s what I heard from him: “Love is the main theme throughout the New Testament.” “Love is the primary message of Jesus.” Christianity’s “primary tenet is love for all humanity.” See, John 3:16 works! I suggested some of the texts that show this is not the case at all, far from it, but these made no dent in his uber-confidence about love. I might as well have been shooting arrows at a tank. After publishing Deciphering the Gospels Proves Jesus Never Existed in late 2018 I have become increasingly engaged in the field of biblical studies and Christian origins. 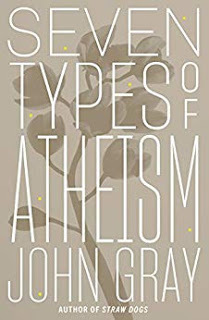 The subject of mythicism is a complex one that is fraught with problems, as is the entire subject of Christian origins, because of the vast array of competing claims in the field, some of which are of dubious academic quality. 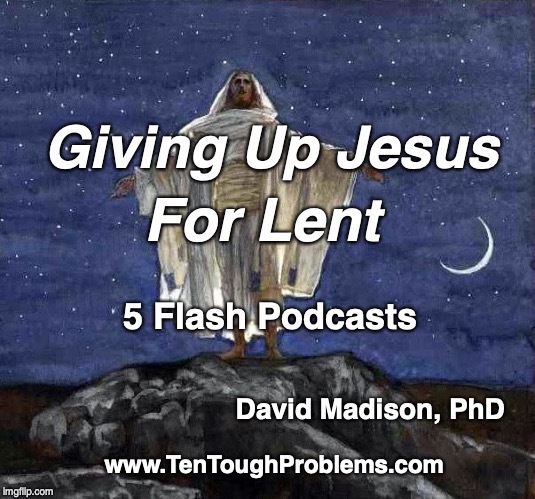 Nevertheless, I believe that the field is maturing and has reached a point of growing consensus around a model for Christian origins without the existence of a human Jesus. I'm very happy she did. Thanks so much! Enjoy. We all have different perspectives on this issue and mine are not meant to tell others what to do, but are merely for consideration. I suspect how we deal with believers depends on factors like 1) how much religion has hurt us, 2) how much we know about the religion under examination, as well as 3) what we think of the apologists we are dealing with, 4) the kind of venue in which the discussion is taking place (i.e., person to person, comedy, lecture, online blog, podcast, vblog, or book), 5) the nature of our target audience, and 6) whether we think staunch believers can be convinced and consequently whether our goal is to convince them, or to convince others who are on their way out, or already out the door. Why Do We Need A Book Against Miracles After Hume? I received a recent comment about my forthcoming anthology against miracles: "I’m eagerly looking forward to this book even though, after Hume, I’m not sure what more needs to be said." This is nice to hear! I think it's my best anthology yet, but then I've thought that about each one as they were published. Probably no one is more eager to see this book published than me, as I've put so many many hours into it. Still, it's a legitimate issue as to why such a book is needed at all, especially after Hume's arguments. I agree with you about David Hume. He's regarded as the most important English speaking philosopher, except that there are some powerful objections against what he wrote against miracles, even coming from atheists themselves. Since Christians keep writing books in defense of miracles as if Hume never wrote a thing, they need answered. This is a book that defends Hume and responds to specific miracle claims in the bible and in today's world. There hasn't been a book length treatment of miracles like this written by atheists in, I don't know, forever, and it's long overdue. Actually, it's Hume plus Strauss plus Darwin equals the destruction of Christianity and religions in general. David Hume's influence over others is towering, and rightly so. In 1748 he wrote a pioneering chapter of objections against miracles in his book, An Enquiry Concerning Human Understanding (chapter 10). This changed the course of theology, since he had a great influence on Friedrich Schleiermacher, considered to be the father of modern theology. David Friedrich Strauss in turn was greatly influenced by Friedrich Schleiermacher at the University of Tübingen (1825-1831), who regularly attended his life of Jesus lectures. In 1835–36, at the age of 27, Strauss published his magnum opus--a mammoth of a work--titled The Life of Jesus Critically Examined, 2 vols. In it he denied the historical value of the Gospels and rejected their supernatural claims, describing them as historical myth. 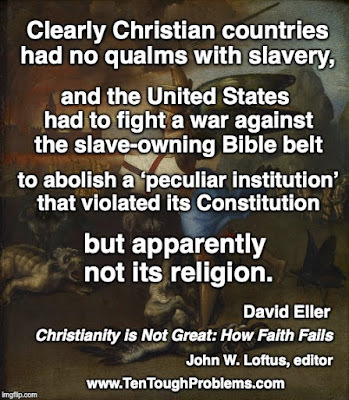 Then in 1859 Charles Darwin's book On the Origin of Species was the destruction of Christianity as was then believed, along with those constructed on the rubble afterward. The Stanford Encyclopedia of Philosophy on "David Hume" says, "Charles Darwin regarded his work as a central influence on the theory of evolution." Bet you didn't know that! I didn't. The Republican-led Georgia state legislature passed a devastating bill that would ban abortions upon detecting a fetal heartbeat, as early as six weeks, before many women even know they're pregnant. Since money talks I'm hoping the celebrity boycott of Georgia helps overturn this hurtful law, and I call on others to do likewise. Directly below are a few links to what our authors have written about abortion. In Part II I'll post a chapter on the sanctity of life written by Dr. Ronald A. Lindsay, from my anthology Christianity is Not Great: Why Faith Fails. It's a work that details the harms of the Christian faith and why we oppose it. --Why I Write and Write and Write About the Religious Right, by Teresa Roberts. Commenting on Bob Nononi, a Republican politician from Idaho, who said in a public forum that maybe we should consider the death penalty for women who get an abortion, she unloads the harms of the religious right in general. "Right under our very noses, we are becoming a theocracy and people by in large are refusing to believe it’s happening...The religious right is no longer willing to sit on the sidelines as their cross-eyed cousins once did, talking in tongues, handling snakes, beating their kids and oppressing their women. Watching the rest of Americans live their own lives as they please infuriates them. They're here to tell you that they're no longer a joking matter. They're serious. Dead serious. Furthermore, they're winning which is making them bolder by the minute." --Why is the Religious Right Obsessed With Abortion?, by Teresa Roberts. She argues: "Abortion has evolved into a single driving issue of such monumental proportions in part because society has become far more secularized than we realize. The shift away from a moral code dictated by churches and enforced by government has caused a great deal of discomfort for individuals and institutions that once wielded so much power over our lives. They are now struggling to reclaim what they perceive as their god given right to determine and enforce the new moral code that defines modern culture. They feel the shifting tide as they continue to lose their tight grip on the reins of society. 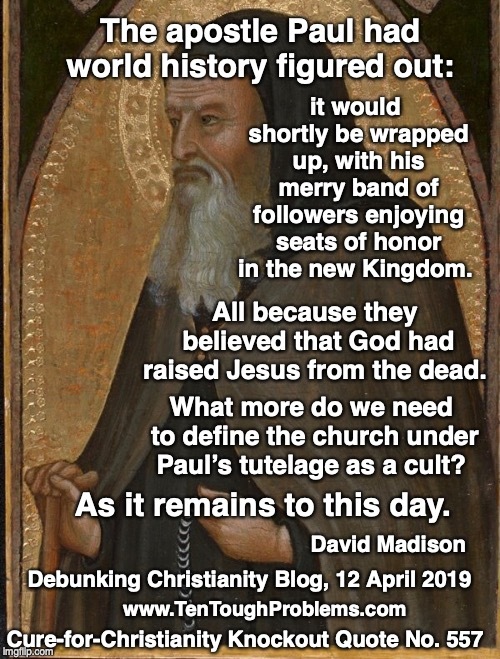 It has turned them into crusaders, not just for the protection of the unborn but for a return to the glory days when the church had the final and last say over what would be tolerated and what would not." --Birds of a Fundy Feather, by minister-turned-atheist Joe Holman. In commenting on Eric Rudolph, the famous abortion clinic bomber, Holman argues: "The Christian fundamentalist mindset is dangerous. It devalues life and appreciates one that exists only in fantasy. It enslaves the rational mind, empowering an otherwise conscionable individual to do inhumane things with feelings of integral justification, or at the very least, creates support and sympathy for those who so act." --Apologist Edward Feser gets into the debate by comparing George Tiller, an abortionist doctor, to Jeffrey Dahmer who killed, dismembered and ate 17 men and boys. Feser says, "Tiller was almost certainly a more evil man than Dahmer was." LINK, with a follow-up LINK. --In a tongue-in-cheek essay, Why Conservative Christians Should Love Abortion, Franz Kiekeben takes seriously William Lane Craig's arguments that slaughtered innocent children go to heaven, and draws the conclusion that so do aborted fetuses. Hence, "Christian conservatives should be encouraging women to get pregnant for the sole purpose of aborting their fetuses — and doing this as often as they can! They should stop protesting abortion clinics and instead hand out fliers informing women of the religious benefits associated with the practice, and encouraging them to do the godly thing." --God Loves Abortion, by Jonathan Pearce. "Given the statistics that fetuses die from natural, spontaneous abortions, or miscarriages; abortions that God has the power to stop, and seemingly designed in to the system in the first place, then.... either God is not omnibenevolent; or God does not exist; or embryos are not so sacred and arguments over what defines personhood are called for; or that millions of fetal deaths a year, unknown to humanity, are necessary for a greater good." --About fifteen years ago I participated in a written debate with an atheist over abortion, which can be found at DC here. I think I laid out a reasonable case for a women's right to abortion. Do You Believe In Karma? You Could If..
...you were born somewhere else in the world. You might even pay to have bad karma removed! Which shows corruption abounds. So let me put it to you, to the degree there is corruption in a religious organization then to that same degree it's not from a caring god or a supernatural power. If so, say goodbye to all religions! For more religion photos of the week, see this LINK. There are countless memes going around that ridicule talking snakes and donkeys, the ark full of animals, and a woman created from a rib. Who really cares about any of these? Any more than we care about fables describing floating axes, the sun standing still, or bears mauling boys who ridiculed a prophet. Aside from those who insist that the Bible is inerrant, ordinary devout folks don’t get too bent out of shape by the folklore. When I hear someone say that a god is responsible for something that happened or a decision that they've made, I cringe. Most things about religion have become cringe worthy to me. The more I explore the deeply entrenched mythologies of my own culture, the harder it becomes for me to take much of what humans do seriously. Little by little, I've realized that when it comes to our world view, most people simply embrace the one they've inherited. 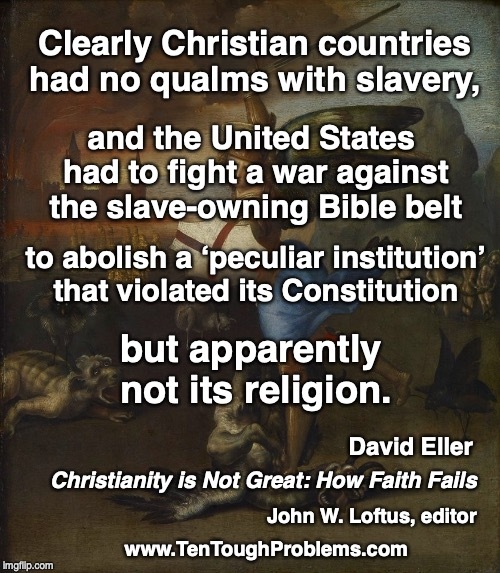 Religion is easy to pick on, however, because it's so full of blatant fairy tales. Yet, it's equally difficult to dispel, because the religious are such elitists. To break through their privileged exterior takes a sledge hammer, blow torch and chainsaw. They're not only blind to reason but they honestly seem to believe that they have a personal connection to the most powerful being in the universe. “Nones have been on the march for a long time now,” Burge said. “It’s been a constant, steady increase for 20 years now. If the trend line kept up, we knew this was going to happen.” LINK. “God inhabits eternity, outside of time and space.” So a pastor friend once told me, perhaps without realizing how much hard work was required for theologians to make God sound so good; they’ve been at it for centuries, redesigning God endlessly: an endless quest for respectability. It’s just a fact, however, that the god who rampages through both the Old and New Testaments is a nasty-tempered tribal deity. Those who protest this assessment would do well to remember the story of Noah: “drown ‘em all” was old Yahweh’s approach to cleaning up sin—and getting even. 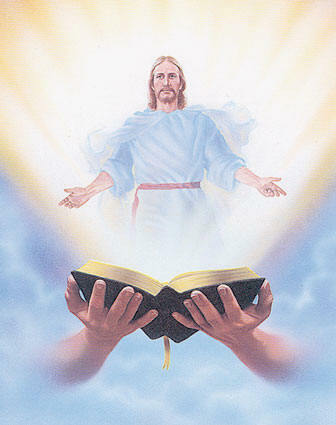 And when Jesus ‘returns’ there’ll be a repeat—so Jesus himself promised (Matthew 24:38-39). Valerie Tarico interviews David Fitzgerald about Christian apologist Lee Strobel's personal conversion story and his books. 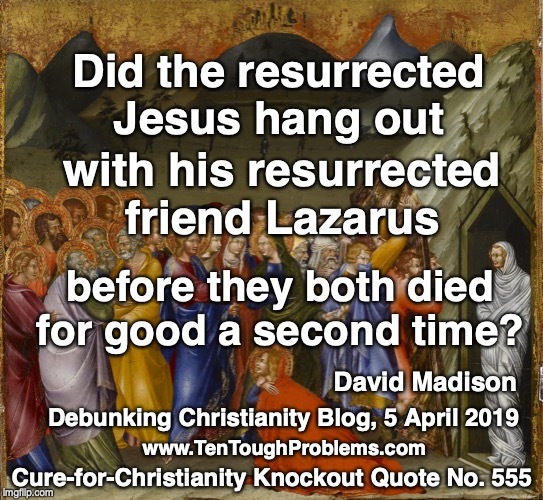 The problem, according to author and religion critic David Fitzgerald (and others), is that key parts of this story are distorted at best and fabricated at worst.